Check out the latest shavers now available in Amazon store that suits your budget of 3,000 bucks. These shavers have been shortlisted after careful selection on the basis of wide customer feedback. This skin friendly shaver is made up of a hypo-allergenic foil and its patented pearl tips prevent your skin from irritation. Its one stroke application gives your skin a friendly and comfortable shave across all your body areas. You can Shave and trim without any hazards as you don't have to bother about your skin protection when you use Philips body-groom BG2024. It reaches easily even in remote body parts. The trim and shave option shaves head or long hair in a single stroke. It can be used as a professional electric head shaver too. You get a comb free with the package suitable for 5mm body hair length. For longer usage like 50 minutes, it needs eight hours charging. 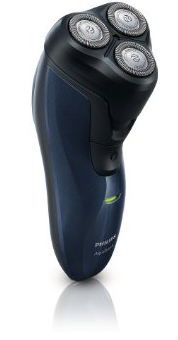 For a reliable and smooth grooming experience, try Philips BG2024. To ensure a perfectly Extra gentle and close shave, try Braun LS5160 Women's Shaver. Its rounded trimmer tips smoothly glides down the skin. It comes with three exciting attachments that includes an exfoliation attachment, a bikini trimmer and an Optishave attachment that make the shaving quicker and easier. For more convenience, use it while taking a shower. 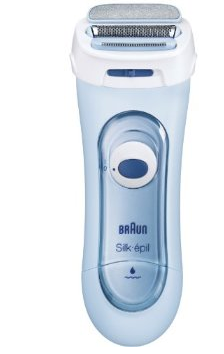 This shaver has the special Silk-épil Double care feature for smooth and radiant skin. The unique exfoliation attachment keeps revitalizing your skin as you shave and its smooth rounded gliding head is perfectly designed to glide over the contours of the female body. The floating foil and long hair trimmer system ensures an extra close and gentle shaving effect with a guarantee of smooth and glowing skin appearance. Agaro DS 581 Two Head Shaver has a unique life and cut technique with two Rotary Head Blades with a Self- Sharpening one. It gives a close and gentle shaving experience with a 45 minutes at a stretch usage after you charge it for 480 minutes. What else it has rechargeable batteries which saves your time to get and fix a new one. Now enjoy a total skin protective close shave with a clean, smooth, and refreshing effect. Apply AquaTouch shaving gel or foam to experience an enhanced skin comfort. Its Aquatec seal guarantees a safe and refreshing wet shave. When you want a quick shave, choose the dry option. Philips AquaTouch AT620/14 is Skin-friendly. Its Close-Cut blade glides smoothly on your skin giving it a perfect, close cut. You can use this shaver consistently for 2 years. Its easy to use, ergonomic grip works towards extra precision and full protection. Go cordless for extra convenience of its continuous usage of thirty minutes after you recharge it for 10 hours. For a powerful grip it comes with an anti-slip coating and its Aquatec seal makes it fully waterproof. After the usage, just pop the heads open and rinse them below the tap to clean them instantly. Its Close-Cut blades come with rounded edges that doesn't hurt your skin and glide down smoothly to always ensure a comfortable shave. Enjoy its 2-year warranty with its worldwide voltage and replaceable blades. What more? Its Eco passport shows that Philips is concerned about the environment and society as a whole and thus goes for, eco-designing of their products. 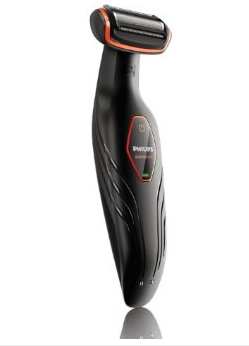 Philips HP6341/00 Women's Shaver is a safe & easy shaver ideally crafted for women. It is an all-round Ladyshave that can shave every body part with ease and safely. It is its small shaving head that cuts and shave quickly with a total protection of your skin. 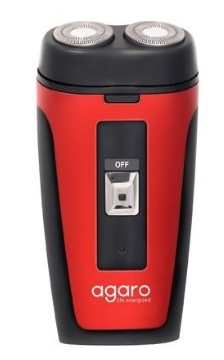 The features include ergonomic grip and wireless device. Feel softer and smoother with a glowing skin after every shave. Get these top rated shavers from Amazon at your doorstep right now.